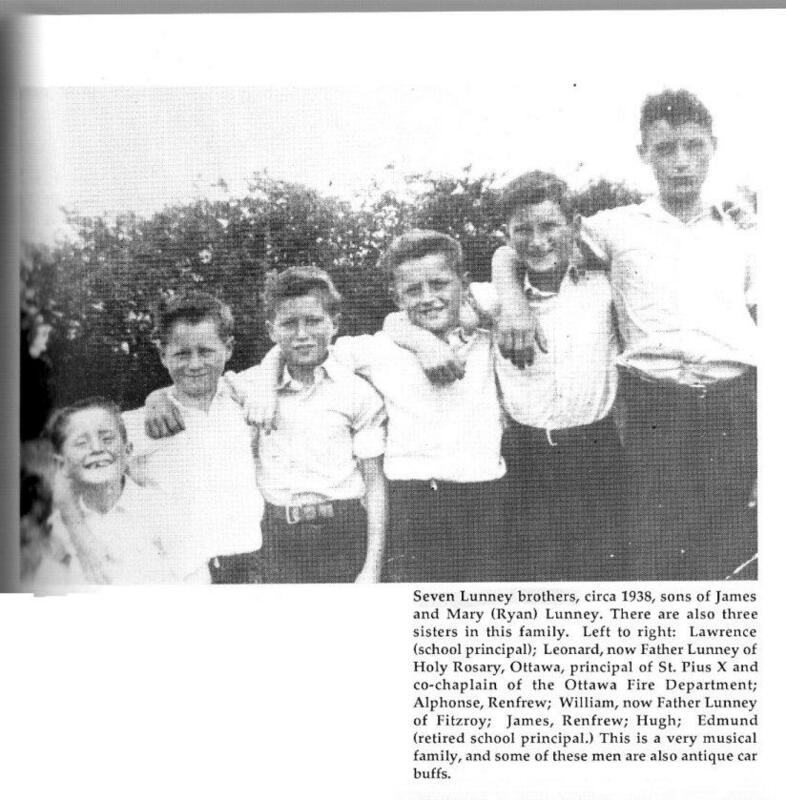 Here are the seven Lunney brothers from Pakenham c. 1938. Photo Source: Peter Robinson's Settlers, 1823 1825, by Carol Bennett, page 115. Jeri Lunney has a web site for Lunney Family History. The site includes a .pdf file of descendants.